Home > What is CR? Celebrate Recovery is a Christ-centered recovery ministry for people with all kinds of hurts, habits and hang-ups, and has been successful introducing people to a relationship with Jesus Christ, and has helped thousands of people become healthy, whole and passionate followers of Jesus. 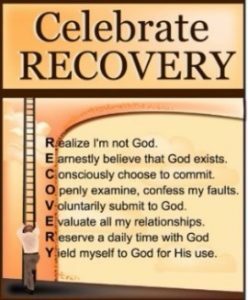 Celebrate Recovery helps people find healing, forgiveness, restoration and transformation in areas such as: unhealthy eating habits, spending habits, fear, grief, sexual temptations, divorce, anger, depression, family and relationship issues, codependency, and alcohol or drug addictions, just to name a few. Worship – It’s what makes our program different! Worship Our Lord and Savior, Jesus Christ, each week with the CR Worship Team! We take our Higher Power seriously in this recovery process. So we spend the first part of our large group meetings coming to him through worship and singing praises for what he’s done in our lives. Celebrate Recovery uses the Beatitudes of Jesus aligned with the well-known 12-Step program to guide people through the recovery/transformation process, and strives to keep relationships safe and confidential, encouraging openness, honesty and transparency. We alternate Recovery Lessons with Personal Testimonies every other week. Lessons are based on the traditional 12 Steps of Recovery and the Celebrate Recovery program’s 8 Recovery Principles, which are based on the Beatitudes of Jesus found in his Sermon on the Mount in the Holy Bible in the Book of Matthew. Click here to view video lessons! CR volunteers provide snacks to enjoy while we socialize with participants between the large group and the small group meetings every week. We also host a potluck on the 2nd Tuesday of each month at 6 p.m. before our regular meeting begins. CR provides the main course and you are welcome to bring a hot dish or other side dish to share if you can. Please join us for food and fellowship! You can also bring a friend! Click here for our meeting schedule and our other upcoming special events! Sign up for our our monthly newsletters here. Celebrate Recovery lessons begin anew at the first meeting every January. 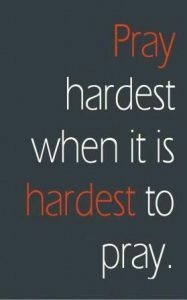 This is a great time to come check us out, but you can also join us any Tuesday evening at 7PM to begin taking steps toward your recovery now! Celebrate Recovery promotes sponsors or accountability partners and encourages people to engage in a weekly 12-step series called Step Studies. Please come to one of our meetings and let our leaders know if you need help finding a sponsor! 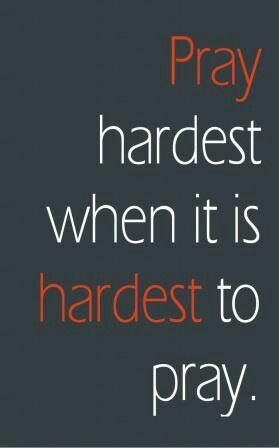 Are you feeling overwhelmed by habits, hurts, or hang-ups? We can help. 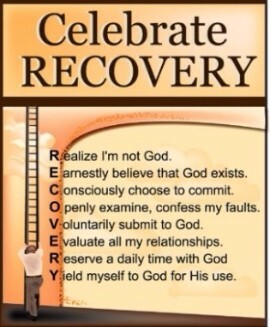 Monticello Covenant Church’s Celebrate Recovery Program (CR) exists to connect you to God’s healing power. We meet in the large group for worship and to study recovery principles, and then meet in small groups to share our stories with one another. We believe that when Jesus said, “If the Son makes you free, you shall be free indeed.” (John 8:36), that he meant what he said – we can find freedom in Christ from our addictive, compulsive and dysfunctional behaviors. 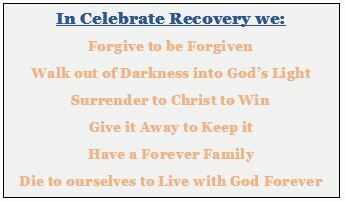 Come Celebrate Recovery and discover how God’s grace can work in your life. By working the 12 Steps and the 8 Recovery Principles, sharing experiences, and exploring hope, we become willing to accept God’s grace in solving our problems. Celebrate Recovery is a safe place to get real about your hurts, habits, and hang-ups. Every Tuesday night @ 7:00 p.m., at Monticello Covenant Church.